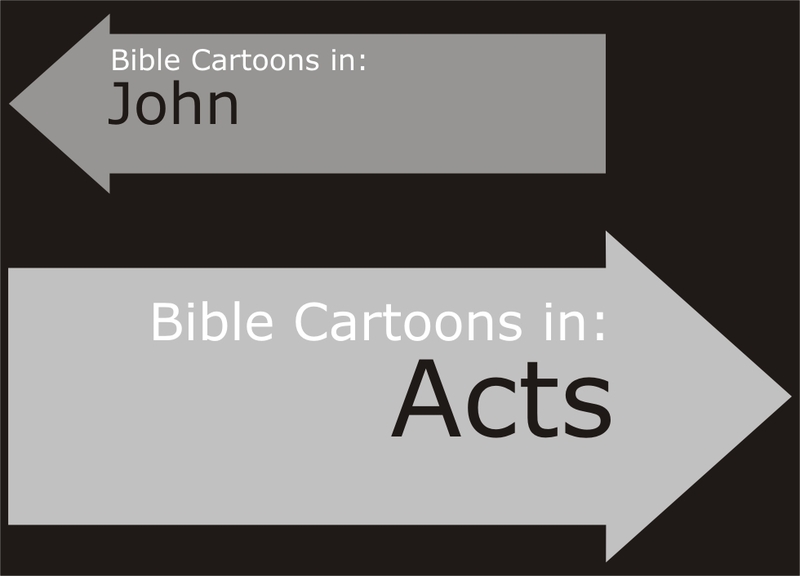 Brief description: Acts – The unhindered movement of God. “Acts” as a book title may suggest that Luke wrote the book of Acts to give an historical account of what happened to the original apostles whom Jesus called & trained, but after listing the 11 apostles & the new one elected to replace Judas Iscariot, Luke never mentioned 9 of them again. Some suggest that the book should be called “The Acts of the Holy Spirit”, since it tells about the coming of the Holy Spirit. 50 times Luke specifically referred to the Holy Spirit. However 11 chapters of the book do not mention the Holy Spirit at all. In the section after Acts 21:11, the Holy Spirit is only mentioned once. Others have suggested that the book was written to reveal the geographic expansion of Christianity. Luke’s purpose was to proclaim the expansion of Christian to all the world “without hindrance” (Acts 28:31). The central theme of the book is that God was doing something in the world in Jesus Christ that could not be stopped by anyone or anything. No barriers could prevent the spread of the gospel across the world. 01) The person of Jesus the Christ. 02) The origin & nature of the church. 03) The challenge of missions. 04) The doctrine of God. The book of Acts focuses our attention on God & what he is doing in our world. Luke reminds us of the roots of our faith, the reason for our existence as the church, & the resources by which we can carry out our work. The book of Acts provides a detailed, orderly, eyewitness account of the birth and growth of the early church and the spread of the gospel immediately after the resurrection of Jesus Christ. Its narrative supplies a bridge connecting the life and ministry of Jesus to the life of the church and the witness of the earliest believers. The work also constructs a link between the Gospels and the Epistles. Written by Luke, Acts is the sequel to Luke’s Gospel, furthering his story of Jesus, and how he built his church. The book ends quite abruptly, suggesting to some scholars that Luke may have planned to write a third book to continue the story. In Acts, as Luke describes the spread of the gospel and the ministry of the apostles, he focuses primarily on two, Peter and Paul. Authorship of the book of Acts is attributed to Luke. He was a Greek and the only Gentile Christian writer of the New Testament. He was an educated man, and we learn in Colossians 4:14 that he was a physician. Luke was not one of the 12 disciples. Although Luke is not named in the book of Acts as the writer, he was credited with authorship as early as the second century. In later chapters of Acts, the writer uses the first-person plural narrative, “we,” indicating that he was present with Paul. We know that Luke was a faithful friend and travel companion of Paul. Acts is written to Theophilus, meaning “the one who loves God.” Historians are not sure who this Theophilus (mentioned in Luke 1:3 and Acts 1:1) was, although most likely, he was a Roman with an intense interest in the newly forming Christian faith. Luke may also have been writing in general to all those who loved God. The book is written to Gentiles as well, and all people everywhere. The book of Acts begins with the outpouring of God’s promised Holy Spirit on the Day of Pentecost. As a result, the preaching of the gospel and the witness of the newly formed church sparks a flame that spreads across the Roman empire. The opening of Acts discloses a primary theme throughout the book. As believers are empowered by the Holy Spirit they bear witness to the message of salvation in Jesus Christ. This is how the church is established and continues to grow, spreading locally and then continuing to the ends of the earth. It’s important to recognize that the church did not begin or grow through its own power or initiative. Believers were empowered and guided by the Holy Spirit, and this remains true today. Christ’s work, both in the church and in the world, is supernatural, born of his Spirit. Although we, the church, are his vessels, the expansion of Christianity is God’s work. He provides the resources, enthusiasm, vision, motivation, courage and ability to accomplish the work, by the infilling of the Holy Spirit. Another overriding theme in the book of Acts is opposition. We read about imprisonments, beatings, stonings and plots to kill the apostles. Rejection of the gospel and persecution of its messengers, however, worked to accelerate the church’s growth. Although discouraging, resistance to our witness for Christ is to be expected. We can stand firm knowing God will do the work, opening doors of opportunity even in the midst of severe opposition. Simon “Harkening” or “Listening” (aka Peter (Petros, Greek “a [small] rock”)). Son of John (or Jonah or Jona), brother of Andrew. Born in the village of Bethsaida on the Sea of Galilee. Fisherman. Accompanied Jesus during the Transfiguration. Confessed Jesus as the Messiah. Was part of Jesus’ inner circle of friends. Denied Jesus three times during Jesus’ trial. Preached on the day of Pentecost (Acts 02). James (son of Zebedee) Jacobus (ja-ko´bus; Greek Iakobos—Jacob). (aka James the Greater or James the Great to distinguish him from James, son of Alphaeus). Son of Zebedee (& Salome? ), elder brother of John. Together with his brother John called Boanerges “The sons of thunder” by Jesus. Fisherman. One of only three apostles whom Jesus selected to bear witness to his Transfiguration. “Herod the king” (identified as Herod Agrippa) had James executed by sword (Acts 12); thus first apostle martyred for the faith. John Jon; Greek ’Ioannes; from Hebrew Yôhanan, “Jehovah is gracious”. Son of Zebedee (& Salome? ), younger brother of James. The beloved disciple of Jesus. Together called Boanerges “The sons of thunder” by Jesus. Fisherman. Church tradition holds that John is the author of the Gospel of John and four other books of the New Testament — the three Epistles of John and the Book of Revelation. Ananias (of Jerusalem) Same as Hananiah, “Jehovah is gracious” Hebrew. Member of early Christian church in Jerusalem. Conspired with his wife Sapphira to deceive the church & withhold some of money after sale of field. Died immediately after he had lied to Simon Peter & God (Acts 5:4-5). Ananias (in Damascus) Same as Hananiah, “Jehovah is gracious” Hebrew. Christian disciple in Damascus. God told him of Paul/Saul of Tarsus’ conversion in a vision, and who was the instrumental in Paul’s physical and spiritual restoration. Introduced Paul to the other Christians in Damascus (Acts 9:10-19). Barnabas Βαρνάβας, Barnábas, “son of exhortation,” or possibly “son of Nebo”. Nicknamed by the apostles ”Son of consolation” or “Son of encouragement”; originally called Joses or Joseph (Acts 4:36). A Levite & Jewish Cypriote. Cousin of the evangelist John Mark (Colossians 4:10). Described as “a good man, full of the Holy Spirit and strong in faith” (Acts 11:24). Co-worker with Saul/Paul in missionary work of the early church. Brought many people to the Lord. Silas Σίλας, Sílas, probably contraction for Σιλουανός, Silouanós; the Hebrew equivalents suggested are ‏שָׁלִישׁ‎, shālīsh, “Tertius,” or ‏שֶׁלַח‎, shelaḥ (Genesis 10:24) or ‏שָׁאוּל‎, shāʾūl = “asked”. Roman citizen (Acts 16:37) who accompanied the Apostle Paul on most of his 2nd missionary journey (Acts 15-18). Along with Judas (called Barsabbas), Silas was described as “men who were leaders among the brothers” (Acts 15:22). The Silas of Acts is generally identified with the Silvaus of the Epistles (2 Corinthians 1:19, 1 & 2 Thessalonians 1:1, Peter refers to him as “a faithful brother” in 1 Peter 5:12). James (Jesus’ brother) Jacobus (ja-ko´bus; Greek Iakobos—Jacob). Only mentioned twice in the Gospels (Matthew 13:55, Mark 6:3), but mentioned by inference in Matthew 12:46 & John 2:12. Initially doubted Jesus’ claims to be Son of God (John 7:5), but after Jesus’ death, James was one of the earliest members of the Christian church (Acts 1:14). James was one of the earliest witnesses to Jesus’ resurrection; “he [Jesus] was seen of James” (1 Corinthians 15:7). James met the apostle Paul (Galatians 1:19). Regarded as the author of the Epistle of James. Apollos Ἀπολλώς, Apollṓs, the short form of Apollonius. A Jew of Alexandrian race (Acts 18:24) who reached Ephesus in the summer of 54 AD, while Paul was on his third missionary journey. Excited/fervant preacher & teacher about Christ (Acts 18:25). Missionary to Achaia; he vigorously refuted the Jews in public debate, proving from the Scriptures that Jesus was the Christ (Acts 18:27-28). Mary (mother of John Mark) Mother of John Mark (Acts 12:12). Probably aunt to Barnabas (Colossians 4:10) & one of Jesus’ earliest disciples. Mary’s house in Jerusalem was the common meeting-place for the disciples there. Felix, Antonius Φῆλιξ, Phélix, from Latin felix, “happy”. Roman governor or procurator of Judea, appointed in succession to Cumanus by the emperor Claudius. After the riot at Jerusalem (Acts 21:27), the Apostle Paul was sent to Felix at Caesarea for trial (Acts 21:31-23:34). Felix was well aware of “the Way” (ie Christianity) (Acts 24:22). Wanted Paul to bribe him (Acts 24:26) but left Paul in prison. Succeeded by Porcius Festus. Festus, Porcius Πόρκιος Φῆστος, Pórkios Phéstos. Roman governor or procurator who succeeded Felix in the province of Judea (Acts 24:27). Judge over the dispute between Paul and the Sanhedrin which continued after the retirement of Felix (Acts 25; Acts 26). Suspecting the duplicity of Festus & the murderous inclinations of the Jewish Sanhedrin, the Apostle Paul’s appeal to be tried by Ceasar meant that Festus had to send Paul to Rome. Herod Agrippa II Son of Herod Agrippa I, husband of, & brother of, Bernice (cause of much scandal to Jews & Gentiles). Brother-in-law of Felix. Visited Festus a few days after Paul’s appeal to Ceasar in Festus’ court (Acts 25:13). Paul calls him “king” and appeals to him as to one knowing the Scriptures (Acts 26:2-3).